Everyone’s favorite part of dinner is dessert. Or is that just me? It is a necessary part of every meal, and in France especially, having dessert often is totally normal — even if it’s just some fruit or a yogurt to finish off the meal and feed a craving for something sweet. Sometimes dessert can include protein powder, like it does in sweets from The Protein Bakery. 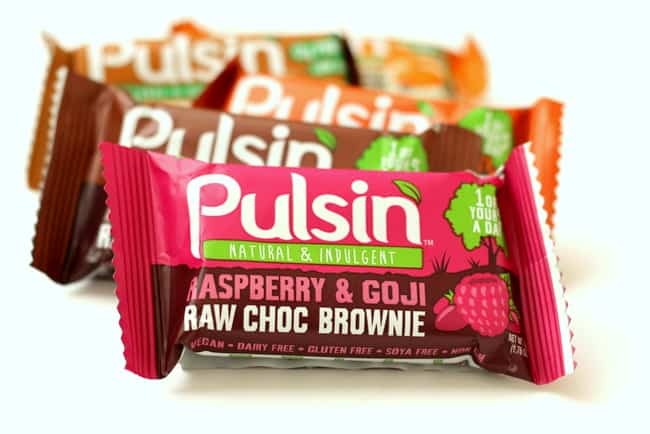 They’re a US and UK-based bakery that makes a wide array of cookies, brownies and bars that are ridiculously delicious and nutritionally balanced. 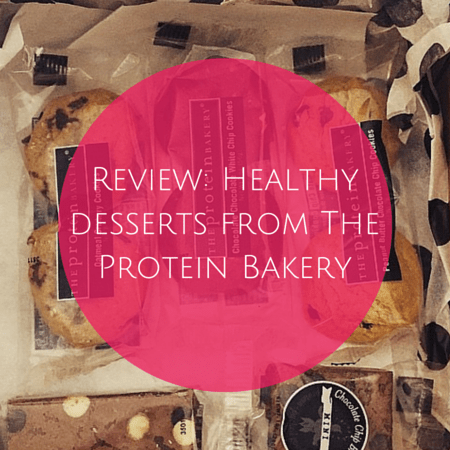 Read on for The Protein Bakery review! I love cookies and bars and unless I make them myself, the chewy traditional flavors I’m used to from home just don’t exist in France. Sure, you can find Oreos and other highly processed cookies in the grocery store, but I try to steer clear of those. So on my quest for healthy desserts to add to my lineup, I discovered The Protein Bakery and couldn’t resist sampling their freshly baked goodies. 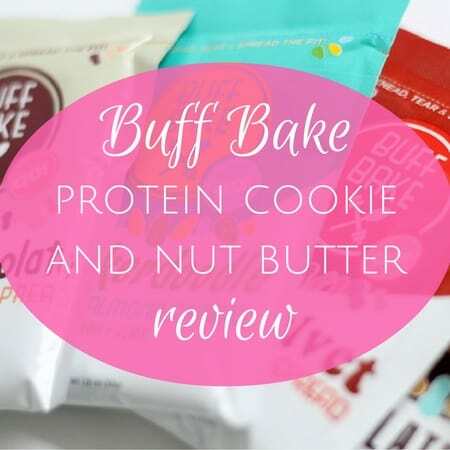 I often look to blogs to find out about new products to try, and after my first bite, I knew I had to share The Protein Bakery with all of you. So what’s The Protein Bakery all about? 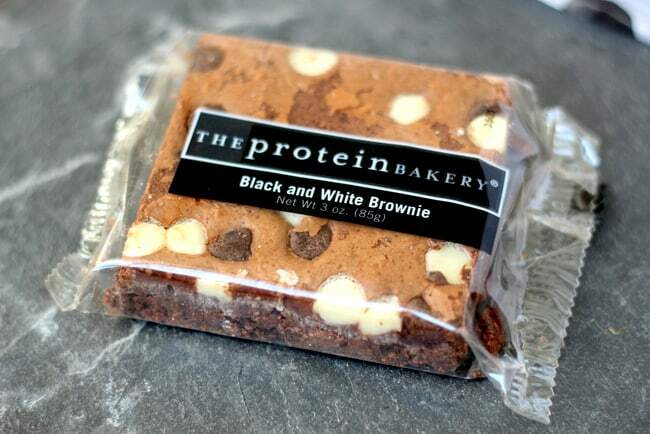 The Protein Bakery opened their doors in 1999 and they’ve been perfecting their protein-packed baked goods ever since. Their motto is “Do it better” and they focus on balance — providing treats with health benefits that still have that gourmet taste. Mission accomplished! The best part is that their products have whey protein which will help you to feel fuller for longer and prevent your blood sugar from spiking. 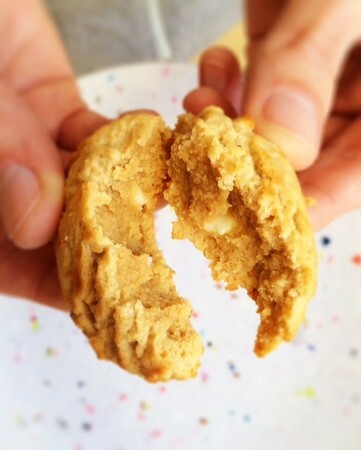 So if you feel like a sweet treat, you may want to consider something from The Protein Bakery instead of a cookie laden with preservatives and high fructose corn syrup. Kept in a cool, dry place, the products last for two weeks but pop them in the freezer for up to three months for a cool treat. This was my preferred way to eat them! I personally gravitate toward chocolate-based desserts and fell in love with the Black and White Brownie. Chewy, but not overly so, with a rich taste and complete with chocolate chips, this full-size brownie bar is worth a try. Tom thought the brownies were excellent with no trace of a protein powder taste. 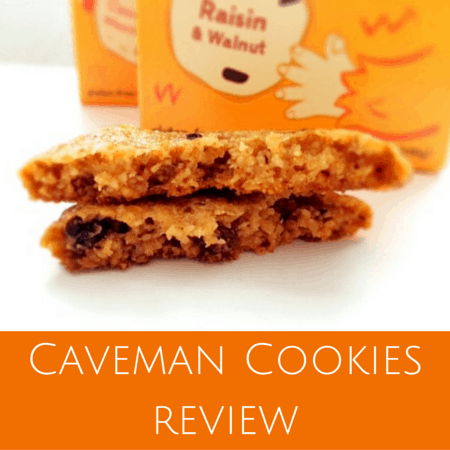 Even my parents couldn’t stop raving about the Oatmeal Cranberry cookies. Oprah says they’re “genuinely delicious” and I have to agree. Even though they aren’t exactly low fat or low calorie, The Protein Bakery’s products are on the healthier end of the dessert spectrum, so you can indulge without guilt! The products taste amazing. Really. Not dry or crumbly or with a weird aftertaste. If you didn’t know there was protein powder in the treats, you’d never suspect it. You feel good about eating The Protein Bakery’s products because there’s no garbage in the ingredient list. Great selection with flavors for every palate. 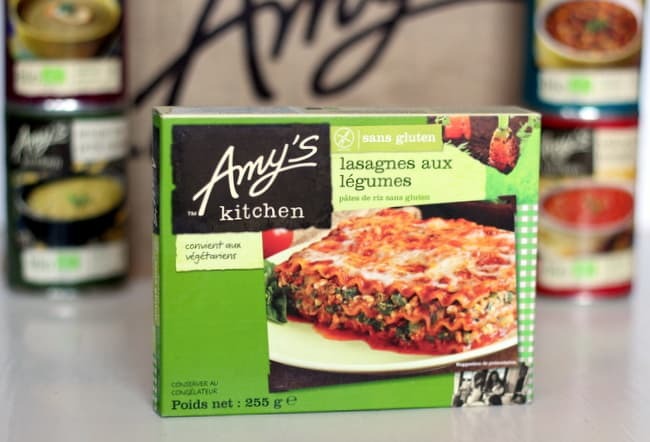 Shelf life is only about two weeks BUT you can freeze the products for up to 3 months and they taste excellent this way. Not cheap. 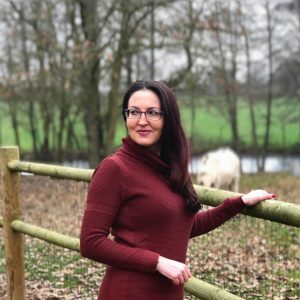 While The Protein Bakery’s products aren’t cheap, they’re not expensive either, especially not when you consider that this is a high-quality product and not something made in bulk. You get what you pay for. To give you an idea of pricing, a package with two cookies is $3.50, a Black and White Brownie is $4.50 and a mini brownie is $1.50. Not super low in calories for those who are counting calories. Life is about balance for me so not a huge concern as long as you’re not eating 10 cookies per day. 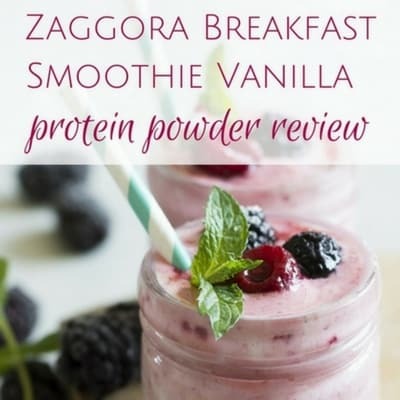 You can find out more at The Protein Bakery’s US site or UK site here. 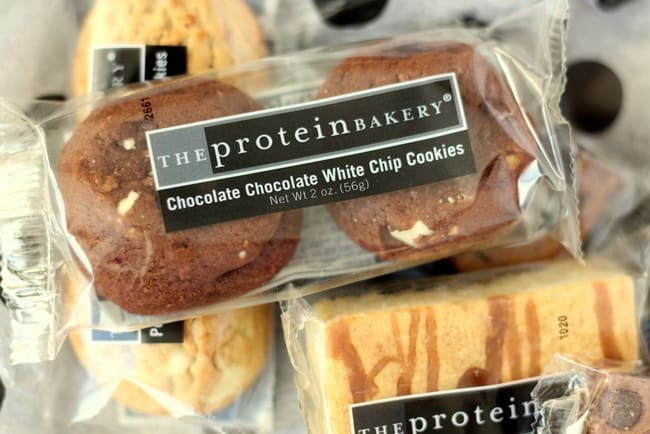 Would you try a cookie or bar from The Protein Bakery? Disclosure: This is NOT a sponsored post. All opinions are always my own. Oh man! These look amazing! I’ve never heard of them, funnily enough. Do you happen to know if they make vegan desserts? Hi there Nussaibah, The Protein Bakery’s current lineup is vegetarian but not vegan since whey protein does come from cow’s milk. I’ll keep an eye out for vegan cookies though and let you know if I come across anything good!